ItemPDP02092 - Tsimshian Mask 36. ItemPDP02093 - Tsimshian Mask 35. ItemPDP02094 - Tsimshian Mask 42. ItemPDP02095 - Tsimshian Mask 39. 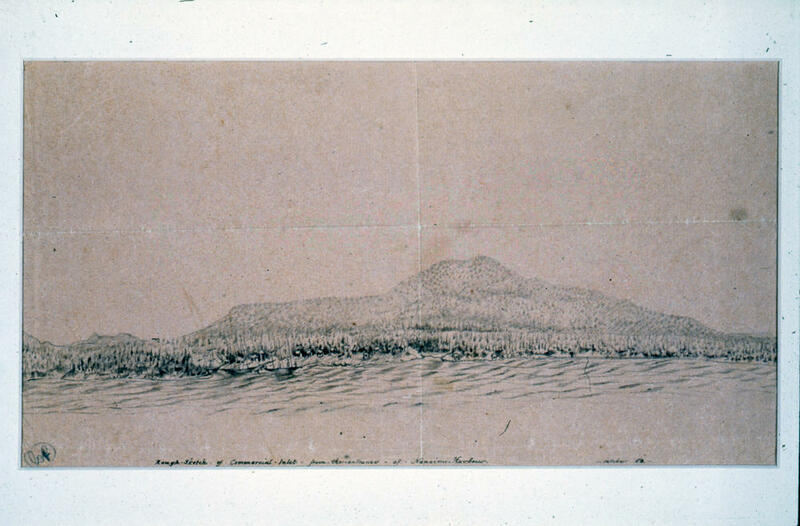 ItemPDP01527 - Rough Sketch Of Commercial Inlet, From The Entrance Of Nanaimo Harbour. ItemPDP01530 - Esquimalt Indian Churchyard. ItemPDP01531 - Esquimalt Indian Church. ItemPDP01533 - HMS Ganges, flagship of Rear Admiral Robert Lambert Baynes, Commander in Chief, Pacific Station, Royal Navy, 1857 to 1860. Item PDP01527 - Rough Sketch Of Commercial Inlet, From The Entrance Of Nanaimo Harbour. Rough Sketch Of Commercial Inlet, From The Entrance Of Nanaimo Harbour.